What are your passions? Most people delve straight into trying to make money online without being ready. To do well in any profession, be it in medicine, engineering or any job one must first learn the ”ropes”. You just can’t take a dive without first being ready. Internet marketing is in no way different. Most people ignorantly dabble into internet marketing believing that all they need is passion, or just a ”push-button-and-make-thousands” kind of job. The truth is when compared to other jobs – that literally ”eat” your whole day -, opens you up to being hurt by a crazy boss, internet marketing is like a walk in the park. But you have lots of homework to do if you want to succeed in internet marketing. While some fail to make a cent after sweating it out, others are making in a month what most can’t make in a whole year. No matter what you answer to that question may be; the truth is that most of us can’t really answer that question. I have tried figuring an answer to that question but nothing was coming forth. Even though I may not have an answer to that question, one thing I do know is that you will need lots of passion if you are going to succeed as an internet marketer. You must be passionate about what you do and never give up your efforts. What I mean by saying the word passion, is that you are confident that the program you joined or the products that you are going to promote are things you can market. It is your passion that drives you in educating yourself and promoting the company’s product the right way. I have discovered that a lot on ”interpreneurs” don’t really care on promoting stuff online that are passionate about because they know how to ”play their game” well. It is folks like you that know only little about internet marketing. Hey don’t get me wrong. Passion alone does not guarantee success. You need a sound website, solid advertising, SEO, strong marketing skills, and reliable support. You will be taught most of these things by the company you work for, but you won’t expect them to make you passionate. If you are not passionate about your company’s product, no amount of education will help you to market their products effectively . Internet marketing may not be that stressful and time-consuming as ordinary offline jobs, but you still need to put in the necessary time and passion that will allow you do that. There are lots of online resources on Google which will help you make progress as an internet marketer. Doing some research about the company you want to work for gives you some amount of confidence. Such product should be able to solve the problem of consumers, and has to be sellable. Any product that does not fit these criteria should be avoided. There are other products with these attributes out there. If you going into online marketing just because you feel like starting a business, looking for quick ways to make money, then know that passion is not what is motivating you. Don’t let yourself be carried away when you hear that a seasoned marketer does that because the skills which they have built over the years can enable them to sell just about anything even if they have zero passion about a product. Note: Our aim is to see you through until you get to the point where you can sell just about anything on the internet. This is worthy goal that is definitely worth pursuing. Please bear in mind that one of the very first steps you need to take before starting internet marketing, is to understand the services and products the company offers and then know if you are truly passionate about it. Failure to do so can lead to frustrations instead of success. Avoid marketing products and services of any company that is not sellable no matter how passionate you may be about it. Millionaire society is a gathering of like-minded people whose goal is to give you all you need to know in growing an online business that will fetch you 6 to 7 figure monthly income from the internet. 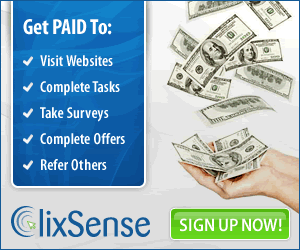 If you really serious about making money online, you need to join the society while you still have the opportunity.